Adjusting screws, also known as extended point thumb screws, have a straight point after the threading that makes initial contact easier and helps reduce thread stripping. They have an easy-to-turn head that allows for simple “by-hand” installation, like conventional thumb screws. The adjusting screw is best suited where frequent adjustments must be made. Plain stainless steel 300 provides better corrosion resistance than steel, making it ideal for a range of environments. Stainless steels are used for their corrosion resistance, high-temperature strength, scaling resistance, and low-temperature toughness. These properties account for their wide use in practically every industry. The screw has a two-piece construction and straight knurl on the head for easier grip. 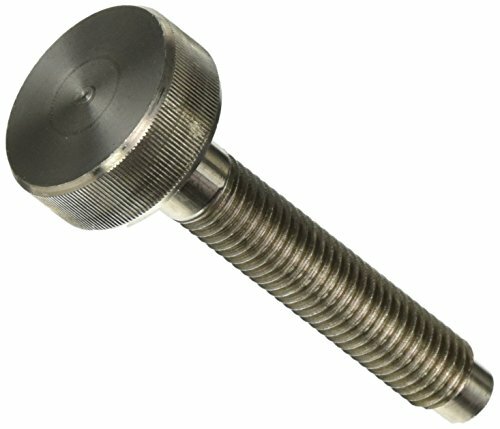 A threaded fastener's size name includes information about the major external diameter, followed by the threads per inch, which indicates if it is coarse or fine.